Announcing the Phoenix Innovation Foundation! frWe are excited to launch the Phoenix Innovation Foundation, a non-profit corporation designed to support community events in the arts, technology, and social communities. 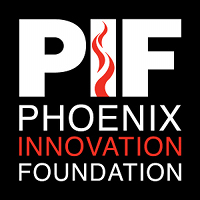 The Phoenix Innovation Foundation (PIF) came out of a need for Ignite Phoenix to have a corporate entity behind it to help organize sponsorship, venues, insurance, and other support items. It had just grown too big to be on a personal account, so we began looking towards incorporation as a solution. We quickly learned that Ignite was not alone, and other events, like PodcampAZ, had similar concerns. We expanded our scope to help support other events, and hope to help build a pool of resources that not for profit events across the Valley can pull from. Event Sponsorship – PIF aims to sponsor community-based art, science, and technology events whose mission is to educate and promote the local Phoenix-metro community. Seminar Sponsorship – PIF aims to sponsor seminars and other educational events where local art, science, technology, and governmental leaders can exchange ideas and implement strategies to educate and promote the local Phoenix-metro community. Facility/Venue Sponsorship – PIF aims to sponsor venues as well as provide community and coworking facilities for others to engage in the education and promotion of the local Phoenix-metro community. Event Promotion – PIF aims to educate and inform the public about any or all events that we sponsor. Connecting, Sharing, Networking – PIF aims to provide a medium where local groups and individuals can exchange ideas and collaborate on items and events that educate and promote the local Phoenix-metro community. Local Economic, Social, and Environmental Benefits – PIF aims to sponsor events which foster local economic, social, and environmental development. Just getting started. We are an incorporated Arizona non-profit, and completing the paperwork for Federal non-profit status (501(c)(3)). We’re focusing on supporting established events and working out our logistics, but hope to soon be able to help sponsor new events as they get going. We’re also building a database of venues, vendors, contacts, and other names to share across all the events. We’re also hoping to use a group of events to negotiate better discounts for everyone. PIF was started by several of the the people behind Ignite Phoenix, and has a Board of Advisors that represents many of the great events already up and running. We are seeking their guidance in making PIF a resource to not only help their events, but future ones as well. Of course, you can follow us on Twitter or join our fan page on Facebook. If you know someone who might be interested in what we’re doing, you can download our launch press release and send it their way. We’re also looking for any contribution of time or skills people are willing to provide. We need help finding applications we can use, and gathering data for events. We will also need people who are willing to help out at events in general. Send us an email at innovatephoenix@gmail.com if you are interested. Phoenix has an incredible event community, with so much happening it is difficult to even keep track. If PIF is a success, we will be able to remove some of the technical challenges for the people putting on these events so they can continue the push that is making Phoenix one of the most happening online communities out there!